Doyle–currently touring his solo project East India Youth–cut a sharply-suited figure incongruent with the dark and often all too sticky venue. That day, a Wednesday, was his inaugural Berlin headliner, and the show that night saw Monarch’s crowd caught up and swept away from that tiny, sweaty room above the chaos of Kottbusser Tor. 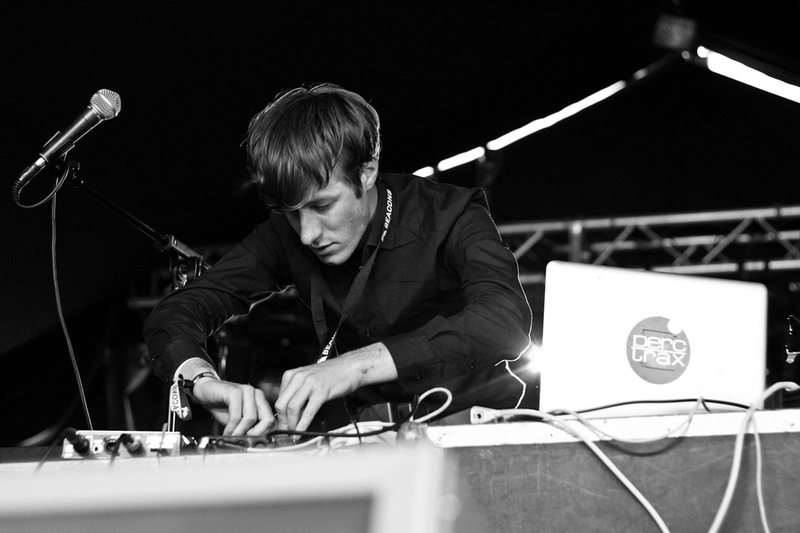 East India Youth is a spectral, electronic venture so vast and orchestral that it’s almost hard to imagine there’s only a single pair of hands at work. To the uninitiated, Doyle’s set-up appears deceptively simple: laptop, lots of twiddly knobs, and an occasionally used guitar, but it belies a sound and a performance that’s strikingly physical. Admitting that he always gives himself “too much to do” is indicative of a perfectionist, focused drive that’s clearly done him well so far. In a twist of fate that’s almost become fable, East India Youth’s first EP, “Hostel,” was released by The Quietus in 2013, on a brand new label established for that very purpose. A true fairytale beginning, and invaluable groundwork for what was to come: this year’s album, “Total Strife Forever,” is a complicated, rewarding work that plunges and climbs, broaching dark arctic depths and scaling teetering, sheer-sided cliffs, simultaneously savage and shimmering. As promised, and expected, the show was completely absorbing. The immediate physicality was unexpected and contagious, and the set was fluid and seamless. The audience was moved from the intricate and delicate, to a crescendo of euphoric synth, then confronted by the demanding, heart-thumping “Hinterland.” When it came crashing to a halt, there was a moment of caught silence. “That only felt like ten minutes?” whispered a thoroughly wind-swept looking man by the speakers–an apt testimony to the immersive, transportive powers of East India Youth. This entry was posted in Interview and tagged British, East India Youth, Feature, Interview. Bookmark the permalink.